Functionality and performance are second nature for this industry standard. 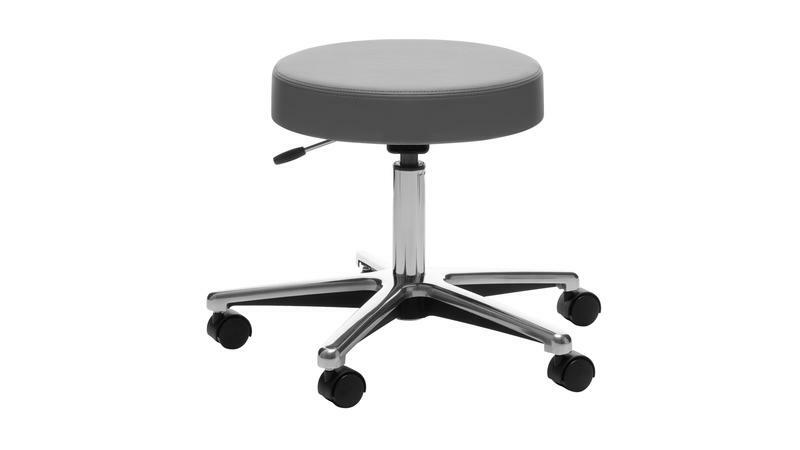 Models are available with or without a backrest. Polished chrome frame and die-cast aluminum base with 2-inch hard plastic dual wheel casters. Caster option include soft plastic, braking or bell shaped glides. Swivel seat comes with pneumatic seat height adjustment.